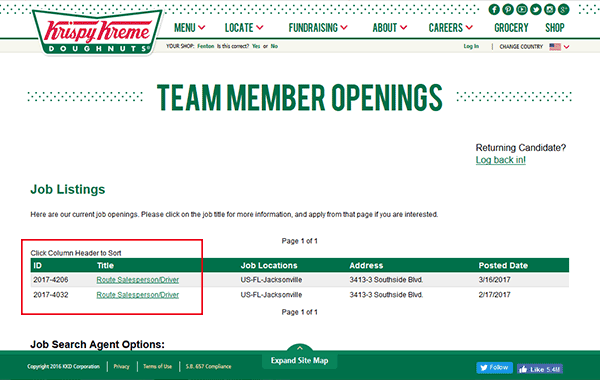 The Kripsy Kreme job application can be filled out entirely online by going to the company’s careers page. Certain franchise locations may have offline/printable applications available however these documents vary from location to location. There is currently no official printable version available online. Corporate, management, and team member positions can all be applied for on the careers page. About the Company: Krispy Kreme is an American donut/coffee shop chain based out of Winston-Salem, North Carolina. The company has over 1,000 locations throughout the United States and abroad. Step 5 – Read the job overview and then click the “Apply for this job online” button as outlined in the screenshot.